Hey man i just wanted to ask you if i dont have 3 builder huts would this plan work? One other question: I like the design and am probably going to use it but would it still work well if it didn't have the laboratory, one of the builder huts and the Clan Castle? DoomWyteShroom - Hi, thanks for leaving me a comment! Yes, that would be one possible attack spot, but it still won't be easy unless they are a couple of levels above you. We really don't care about the builders hut... it's best possible use when being attacked is to make the attack take more time by being in the way, which is how it is used in this case. Hope that answers your question, and feel free to contact me anytime. Thanks again. jonny5 - Hi! That is an understandable question. What I was doing is trying to gain coverage for the Archer Tower, while still keeping it close enough to the corner to be effective down there. If I move it to the corner, it can't hit a non ranged attacker who is going after the Archer Tower from the West side, which it can just reach where it is at. Thanks for taking the time to leave me a message, and let me know if you need anything else, I am not usually so very slow to answer like I have been this last month. BligenN - Thanks man, I appreciate your taking the time to let me know! Sploshman - That is the ruined castle, which you will rebuild at some point in the game and use to hold reinforcements from your clanmates. You should probably consider rebuilding it by next level if possible, and no later than TH5 for sure! Gapilongo - Thanks! I checked out your TH3 as well, and it looks good, so I left you a comment and a rating. Clash On! I am just starting out, have 1 day left on shield so I am putting my base into defensive position. My question, what is the strategy for the placement of the lowest cannon? why not have it against the east south walls and not just the south wall? As a newb I am just curious because I am sure there is a good reason. Thanks! What is that building in between the two builders huts in the bottom corner? TheGamerPaladin - That's terrific! I love to hear from people with numbers and facts about how it's working for them. Welcome aboard the Pure Defense train, and thanks for taking the time to leave me a comment. If you have any problems, questions, or suggestions, please feel free to let me know. Thanks again for the good words, that's what keeps me doing this. Clash On! Hey Wired Fuzzy, I used this base when I was unranked 100 trophies to bronze 2 415 trophies. I won like eight defenses in a row. pumpkinpie - Hi! Thanks for the kind words of support, I love hearing that stuff, it's what keeps me going. I really appreciate you recommending my base to others, that helps me out! Please feel free to check in and let us know how it's going for you, or if you have any questions, comments, or suggestions for me. I'll look for you on my TH4 page if I don't see you here again. Thanks again for taking the time to leave me a comment, and Clash On! -dAr - Found you on my TH4 plan, glad to see your still with me! Hi Wired Fuzzy,this base worked very well!At first I was at bronze3 but after a few days when i opened the game again,It jumped to bronze 2 ! Thank you Wired Fuzzy!I recommended a base of yours to a friend of mine!After I upgraded my town hall to level 4, I would you you town hall level 4 base!Keep it up,Wired Fuzzy! I'm using this in my second account. So far, I've only lost once and that's only because the person attacking me was a higher level and used a bunch of giants at me. Hello again, you're last comment was what I was looking for. I went this route though, I upgraded the 2 storage first then the 2 cannons which I realized was wrong only until I read your comment.I shouldn't have upgraded the storage first but the mines and the collectors. I'm planning to use your TH4 plan as well and maybe until TH8..So far I only lose to raiders who have higher TH levels than me, but i rarely get beaten by raiders who have the same TH levels.Again thanks and expect to see me comment on your other plans in the future. -dAr - Are you kidding? I live for comments, it's my favorite part of being on this site! PLEASE feel free to leave as many comments as you like... It's only spamming if they're one word/nonsense/abusive type comments, or advertisements for your plans on someone else's pages. I sometimes leave 3 or 4 in a row as I think of things. I read ALL my comments, sometimes I don't get to answer right away though. The damage and loot you are experiencing is actually above average, so you're doing really well there. I can give advice on tactics, although it's not my specialty, I'm certainly no stranger to tactics. Important - first make sure ALL walls are at least the level below the one you're on, which in your case of course would be level 2. After that, upgrade splash defenses (Mortar) to max for your level, then the longest range defenses, in your case the Archer Tower, to it's maximum for your level. After that do your Canons up to their max for your level. Bombs can be, and should be upgraded to their max as well. Extremely important - before you even think about moving up to the next TH level make sure your walls and defenses are ALL UPGRADED TO THE MAX FOR YOUR LEVEL, you will suffer a severe beating when you get to the next level unless your walls and defenses are ready, and it's the number one mistake most new players make, just because "wall duty" is sooo boring and expensive. At this stage it's not that bad, but soon each wall section is gonna run you 200,000 Gold each, and it gets tough to be patient. So far these guidelines are pretty much true for all levels, there are other defenses of course as you move up. ALWAYS upgrade defenses first before everything else if you have the choice. Upgrade your Collectors and Elixir Storages in between defenses as practical, for example, if you're going to bed and you have no shield, better to upgrade a Collector and be low on lootable Gold, than try and save the Gold up for a defense. Elixir Purchases: Upgrade Gold Mines FIRST, then Gold Storages. Upgrade you Army Camps, and Barracks as the Elixir becomes available, and if you raid a lot, get your camps up to maximum capacity first, then the Barracks, then the Laboratory, then start upgrading troops in the Lab. If you don't raid a lot, go in whatever order is convenient according to the resources you have on hand and when you have a shield. Go ahead and get the Laboratory when you can, it's one more building they need to take out to get to a one star. If you can't put it where I have it, and you have your perimeter covered with buildings well enough, put it on a far corner of the base away from everything else... that will force them to drop troops in a whole extra place in order to three star you. (It's gonna happen sooner or later, don't sweat it, I've seen TH3's get attacked by TH6 farmers, and you can't do anything about that but watch). Most importantly, don't get discouraged by losses, you absolutely ARE going to get the crap kicked out of you in this game periodically. The thing to look at is the overall progress, one or two or three losses in a row are meaningless in the long run, as you'll gain more ground than you lose with my plans. This game is a years long commitment if you want to make it to masters, so seriously, don't sweat any small setbacks. Remember, with a strong base you will get attacked by higher TH levels than your own, and when you win you get extra trophies, and when they win, you lose fewer, so just like the house in Vegas, the odds are in your favor. As far as attacking, at this stage I recommend sticking to revenge attacks until you get the feel for it, that way they can't come back on you, and you still get in the practice. Never START (revenge is OK), an attack on a TH higher than you unless it's just irresistibly loaded with loot, because they will wait for you to be upgrading a defense while full of resources and revenge you when your pants are down, with troops you can't protect yourself from. Along the same lines, try not to upgrade more than one defense at a time in the lower levels, you just don't have enough extras yet to spare. I sincerely hope I have helped and not confused you further, and if you need any clarification, just let me know. Thanks again for taking the time to comment, and Clash On! Also, the average loot from me by silver 3 guys is 1,00 of each resource. damage ranging from 30-40% Is that normal?.I think it is considering the gap between leagues. Do you advice tactics too? Sorry for spamming I forgot to mention this on my last comment. Wired Fuzzy It's nice yo see that you take time to read comments on your plans. I have won a defense against a silver 3 ranked guy with my mortar now finished. What is your preferred upgrading sequence here? 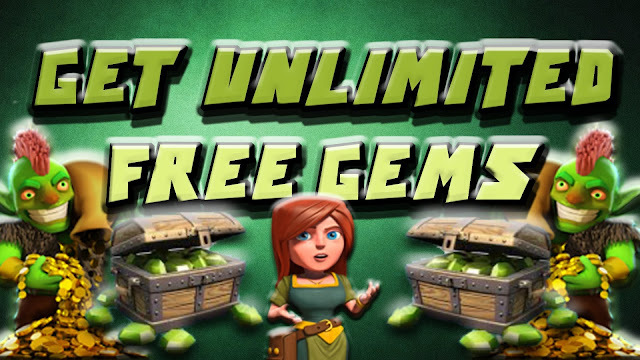 I already have level 2 walls (50/50), (3) level-4 gold mines, (3) level-4 elixir collectors,(2) level-2 army camps,(2) level-4 gold storage,(2)level-3 elixir storage,and (2)level-3 cannons. I still don't have the laboratory. Do I upgrade my elixir storage to level 4 first or should I save gold to buy the storage? I still have that big obstacle rock, the one where the laboratory is located. If I go for the laboratory where can I put it until I get rid of the rock obstacle? Thanks man. -DAr - Great to hear from you, and thanks for trying my plans! Obviously, you won't win all attacks, but I think you'll be happy with the results. Please feel free to ask any questions you might have, and check in every once in a while to let me know how it's going for you. Welcome aboard! OmegaRealm - HI! Thanks for checking in, Welcome Aboard, and I really hope you like the design. Please check back in and let us know how it's going, and don't hesitate to ask if you have any questions, concerns or suggestions, I love to hear em! sloppy3rds - You are very welcome, glad to hear you use my designs on your other account! Thanks for all the support, and taking the time to tell me! Clash On! Yo dude I got to thank you for making this base setup hopefully it will help me out ally when I'm done making it. sloppy3rds - No problem! So there is no further confusion, I have this base laid out so that the bottom right corner on this plan coincides with the bottom point or corner on the Clash of Clans screen. When I have something placed in the "bottom right corner" here, I mean the bottom corner on the game, and conversely if I show it in the "top left corner" for example, I intend for it to go in the top corner or point on the game screen. Rinse - I believe you are probably talking about the Clan Castle, or CC. If you haven't restored yours yet, it's probably still in ruins down amongst the rocks somewhere. You should try and save up to restore it as soon as practical, as it becomes important in the game soon. In the meantime, if you can't restore it yet, put the top Gold mine down where I show the CC, then move the barracks that was next to it over to the right 2 clicks. That should keep everything covered as well as possible until you can restore the CC. If you were actually talking about something else, or if you have any other questions, please don't hesitate to ask again! Thanks for taking the time to comment, and Clash On! Masijacoke85 - Hey man, thanks a bunch for taking the time to leave me a comment, I appreciate the support! If you liked my base please remember to give me a 5 star rating, that kind of thing is important to us designers. I sincerely hope you will continue to use my plans, and that I hear from you on my TH4 page! If you need anything, or have any questions, let me know. I like it when people using my plans check in occasionally, and let me know how they're doing, so feel free to comment whenever. SJOEE - I am so glad to hear from someone else using my lower level bases. I don't get nearly enough feedback from them. I appreciate your criticism, and I have added a section to my description explaining what to change if you don't have the third Builders Hut. I just completely overlooked that detail, so thank you for bringing it up. I think it's easier to tell someone how to remove a building and tighten up the gap, than try and explain how to make a hole to put another building in. In fact, you prompted me to take another look at my TH4 base. I added a line in my description for that base as well, to let people know how to change things if they don't have the third Builders Hut by then either. I also made some changes to TH4 base that will help it defend the exterior buildings a bit better thanks to your prompting me to look at it again, so thanks for your comment twice! I'm thinking that by TH5, you should have all three, so that one should be OK. If you only had one loss, and it was to a bunch of Giants, that's not bad at all. Thanks again, and I hope I hear from you again as you level up. I haven't used this base for very long (since I breezed through TH3 quite quickly), but from the few attacks I had to deal with this base seemed pretty solid. I had one loss, to 10 giants and some auxiliary units dropping in from the northern area. If I had to add one point of criticism, it would be that I (and probably most TH3 players) can not yet afford the third builder. I'd rather have seen a design with two builder huts which I feel is slightly more realistic at this level, but it's not a big deal. Nice job! blazejanszka - Thank You for leaving a comment! Really glad my bases were of help to you, it's good to know you're on board. I love hearing from people with actual facts about how well this worked for them. Which bases have you used so far? Also, thank you for the great rating. Thanks again, and I hope to hear more from you in the future. I have finally rebuilt this plan as it was originally intended to look. Please check the coverage of the base by defenses. There is nothing left unprotected, and there is as much overlap as is possible with only 4 defenses. Bombs are placed to trigger on troops moving from one defense to the next. Mines, Collectors, and Storages are all separated to make it harder to target one specific resource with a small bunch of troops. 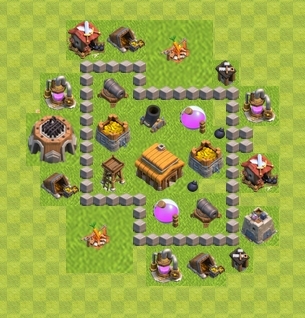 Town Hall is centered and surrounded by defenses for overlap protection. This base will protect your trophy level and your resources as well as any base possibly can at this level of the game. My whole line of Pure Defense Bases is designed to maximize both trophy count and resource retention. Please check out my whole series, especially the TH7 Pure Defense Base by Wired Fuzzy, that one was the first one to get a community following, and it shows how well the plan works, as many people have left their results in hard numbers and facts. In short, these bases work, and work very well... don't take my word for it, look at them all and read the comments from other users and decide for yourself if you should try it. THANKS for looking at my plan, and Clash On! Hey BikerViper, sorry you found whatever this is, but thanks for checking out my TH7 base anyway! Guys, I don't know what happened, but this is NOT my base... I've never even seen this layout before! I'll try and find a screenshot of the real base, and recreate it here a.s.a.p.